When you change you CyanogenMod back to Stock you also change CWM recovery back to Samsung Stock Recovery! Search for your device and country and then download the latest compatible firmware version. Volume Up + Home + Power: boots your Phone into Recovery Mode. But my Odin is not recognizing my SGS in download mode. I’ve installed the “Samsung USB Driver.exe” on my PC and Kies wasn’t running. Also tried Debugging mode on/off. Connect your device and check in Device Manager. If it is not recognized at all then you will have to use your recovery. If you see an unrecognized device then try to install the driver manually. I now tried it on a different PC with windows 7 on it. Worked after connecting and reconnecting it a couple of times. I am a basic user… just purchased a replace SG3 on ebay and it came with cyanogenmod on it and am looking at removing it. On your instructions can you clarify … should I download the stock firmware on the phone or on my computer with the device plugged in. to enable ‘Developer options’ in your phone goto Settings > About phone and tap Build Number until you are a developer (about 7 times). Thanks for this! Just returned my GS3 to stock, so easy!! I really need help figuring out how to revert back to Android from CyanogenMod on a Samsung Galaxy S4 SGH-M919 from T-Mobile>>>>can you please help? can i do this even if my phone is unrooted? Bro…You are a life saver…THANK YOU VERY MUCH!!! I really mean it. the ODIN is not recognizing my phone. i can confirm that the pc is seeing the phone. AT first Idin did not recognizing my phone. I fixed that by installing “Samsung Drivers 1.5.14.0”. Thank you! This really helped me and sloved my problem! I’ve tried it at least 4 times using two different computers, one Win 7 and one Win 8. Can anyone give me an idea of what is stopping my progress? Thanks! 1) Do I unzip/download the firmware to my computer or to my phone? 2) I cannot book in download mode. Phone says “Android is upgrading” and the runs through all my apps. This happens EVERY time I try it. I want remove cayogenmod. But my s2 having a problem. The volume button is not working. Plz help me. I have a problem, ODIN downloads, but when I try to open it it says “the archive is either in an unknown format or damaged”. I tried to download it from elsewhere, but it was virused. Could you guys help me? Got my phone back to stock in 15 minutes. There were some moments where I thought the phone had stopped responding after following these instructions, but I just needed to be patient and wait and sure enough it moved on from the Samsung logo were it had sat for at least a minute. Hi there I have a Samsung i9000, for some reasons i keep on getting a popup message saying sorry the googlegapps have been stopped unexpectedly, i cant remove the previous owners email account even after a factory reset or upgrading the firmware, also cant enter market place and getting whatsapp error closed unexpectedly. I have scanned my phones memory with chimeratool and pick up 3 firmwares installed on it. I have tried several times on both Odin 1.85 and 3.09 I get a fail on both. I have the same issue.Did you get any answer? I did not. 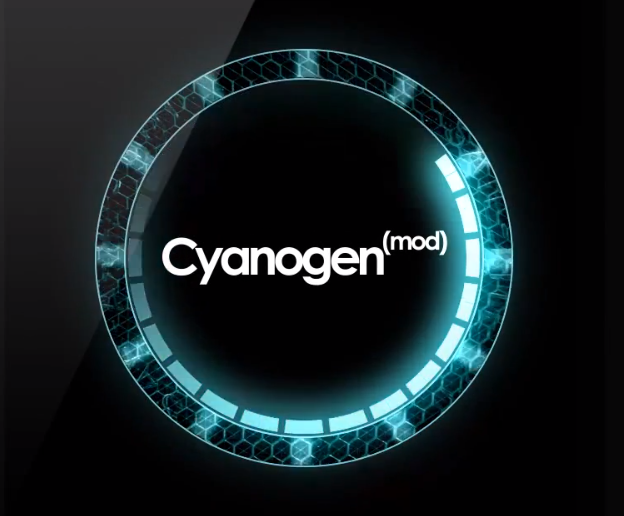 I can’t find a solution on any site that discusses CyanogenMod. Awesome!!! I followed other blog, they did not mention Wipe Data / Factory Reset step so my device was stuck on Samsung logo. Веб забавы долгое время сейчас получили персональные честное место между инициативными пользователями сайтах онлайна, к тому же вовсе не запускают нас каждый день веселить и повергать личными выпущенными историями, победителями, эффектами к тому же мыслью ото творцов. Происходит, то что по определенной гейм требуется стопроцентное установка плюс внедрение к вашем именном ПК, но к сегодняшний час намного удобней прилагать популярные развлечение благодаря онлайн-порталы интернет- игр, которые открыты ежедневно при выхода в сетевого подключения, также вовсе не запрашивают лишнего часа и места в ноутбуке собственно для регулирования. Когда пользователь приверженец всяческих волшебных игр, тогда лучшим местом досуга для пользователей достигнет данный интернет- портал https://mmog-play.ru/brauzernye-igry/brauzernye-rpg/infernum/, в каком уже подобрана подборка вполне знаменитых плюс обновленных гейм, в которые можно задействовать вовсе без регистрации. Приспособленный интерфейс в отбор интернет гейм презентует подробное определение игр, год выпуска, рейтинг и тип, потому посетители сайта мгновенно сумеют определить свои готовность относительно курса – стратегия, шутеры, события, ККИ, РПГ и наилучшие варианты, какие наверняка принесут пользователям огромное количество новых отзывов, навыков также общения из другими юзерами. Посещайте нашим ресурсом совершенно в любое время, играйте онлайн, внедряйте и смотрите каждую новинки по презентованному странице бесплатных интернет геймерских развлечений.